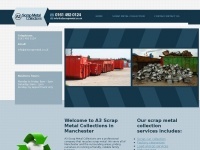 The websites creator or author is Scrap Metal Cleared - Rochdale, Bury | A3 Scrap Metal Collections. 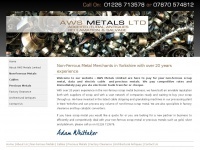 A3 Scrap Metal Collections is the owner of the copyright for this website. 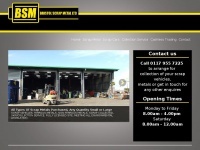 Breakerbakerltd.co.uk - Scrap Man Brea­ker Ba­ker Scrap Me­tal So­mer­set Bristol ..
Awsmetals.co.uk - Non fer­rous | Scrap Me­tal Merchants | Cab­le Pro­ces­sors ..
1stautoclear.co.uk - Scrap Car Remo­val Lon­don. Scrap Car for Cash. Free ..